MIOPS Capsule360 is "the world’s most compact and versatile motion box"
Compressing kit is the dream of many a videographer and photographer alike, so it’s always welcome news when a product comes along that promises to do many things at once. So we’re intrigued by the many-hatted, multi-faceted Capsule360, a motion box that sits underneath a camera and provides many different functions. Whether you’re shooting with a DSLR, a mirrorless camera, an action camera or a smartphone, the Capsule360 puts a host of useful movement functions at your fingertips. Its 3-axis movement provides slide, pan and tilt functionality, with smart object tracking, time-lapse shooting, automated 360-degree product photography, astro star-tracking, panorama capture and more all possible. Controlled via a smartphone app, the Capsule360 is designed to be operable with as few touches as possible. Object and face tracking, for example, can be achieved with a single tap. It’s also possible to have multiple Capsule360 modules working together, thus allowing more complex movement sequences. They’ll work wirelessly too, cutting down on cable clutter. If the kind of movement you’re envisioning isn’t readily programmable, you also have the option of teaching it a movement manually, using your smartphone. You can also get hold of a Capsule Dolly accessory for dolly movements, as well as a Capsule Slider, a turntable (for 360-degree product photography), a pan-and-tilt kit, and various other bells and whistles. All these are available for Kickstarter pledges, depending on how much you’re willing to throw down. 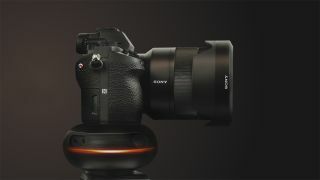 The Capsule360 contains a rechargeable battery that should provide about eight hours of use before needing a charge, though you can also connect a USB power source to further extend shooting times if necessary. The Capsule360 is now funding on Kickstarter, shooting for a goal of £56,138, which it needs to hit by 12 July. If you’d like to back it, you’ll need to pledge at least $179 (£133.99) to be sure of getting hold of one. Estimated delivery is December 2018, and the product will be shipping to anywhere in the world. Head to the Kickstarter page to find out more and to get your hands on one of the products.